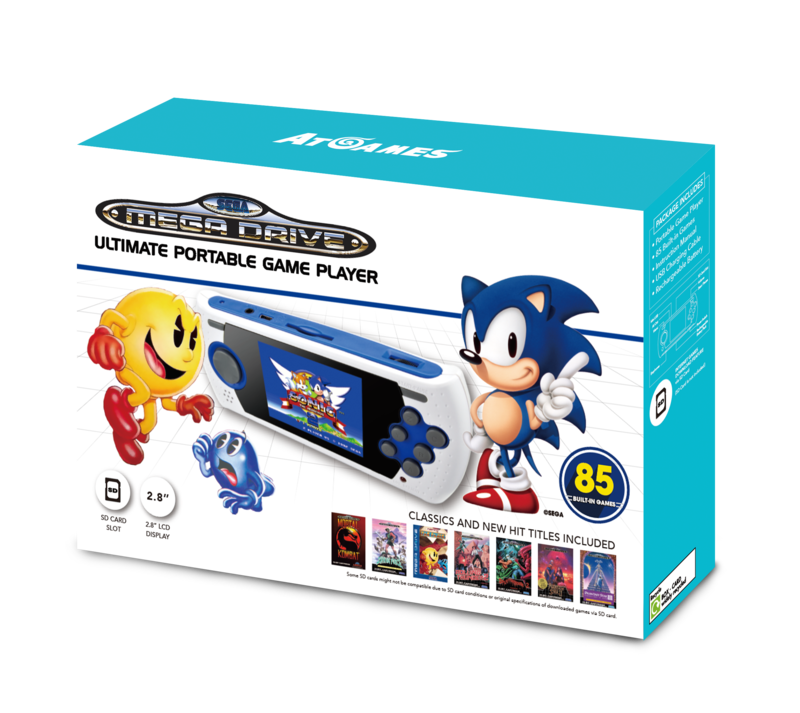 Ultimate Portable Game Player with 2.8" LCD display. Enhanced selection of 85 built-in classic games. Equipped with your favorite Sonic ™ games. The selection of blockbuster games include new additions PAC-PANIC ™ and Splatterhouse 2 ™. Comes with rechargeable battery and SD card slot for more games download (SD card not included). Plug and play on your TV (via optional AV cable, not included). Comes with USB charging cable.